Better data means better marketing. Data can determine the success or failure of a B2B marketing campaign. Don’t let your campaigns fail because yours isn’t up to scratch. Cognism’s data platform will provide you with high-quality B2B leads, outbound automation and revenue-generating insights - in short, everything you need to get the maximum return on your marketing. Market the smart way with Cognism. Want to find the best B2B marketing leads for your chosen persona? Let Cognism Prospector do the hard work for you. Search a global database of business professionals to find your ideal customers. Use Cognism’s outbound automation function to engage and follow-up with a wide audience of B2B buyers. Create personas of your target customers using filters such as job title, company, industry, skills and location. 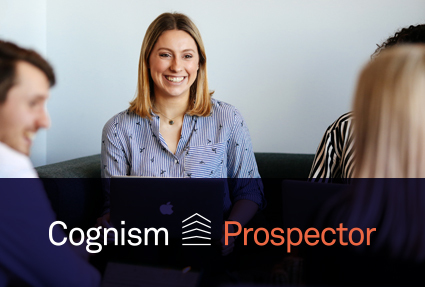 Find prospects from Cognism’s global database of 400 million business profiles and 10 million companies. Contact key accounts at optimal times using event-based triggers, such as when a prospect is promoted or a company receives funding. Launch your email marketing campaigns using Cognism’s outbound automation. Work with verified business email addresses, ensuring 97% deliverability. Unable to kickstart your marketing campaigns because the email addresses you have are out of date? Cognism Refresh can tackle this problem quickly. Integrate Refresh with your preferred CRM and watch as it updates stale data and populates missing data - all at the click of a button. 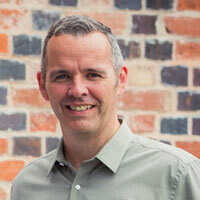 Scan your CRM and quickly detect how much of your lead and account data has gone out of date. Update any stale data in your CRM, allowing you to run your marketing campaigns with confidence. Fill in any missing gaps in your data and create new business opportunities out of your existing data set. Integrate Cognism with your preferred CRM, including all leading providers, to decrease the time spent on manual data entry and updating. Generate high-quality sales leads and feed them to your sales team. Utilise high-quality, real-time B2B data. Increase webform sign-up by up to 35% with shorter forms. Improve your inbound conversion rates with Cognism. Find and engage thought leaders and influencers in any industry. Build quality marketing partnerships and backlinks. Maintain the accuracy of your mailing lists. Send your emails, newsletters and marketing materials to verified business addresses.